The Romans have a feast of festive fixtures and the feast begins at Twerton Park on Saturday! City take on Concord Rangers in the Vanarama National League South – 3PM KO. After a weekend off, Jerry Gill’s side currently prop up the play-off spots in seventh place but remain just seven points off top spot with two games in hand! On Saturday they face the Beach Boys whose impressive home form has helped them rise to fourth in the table. 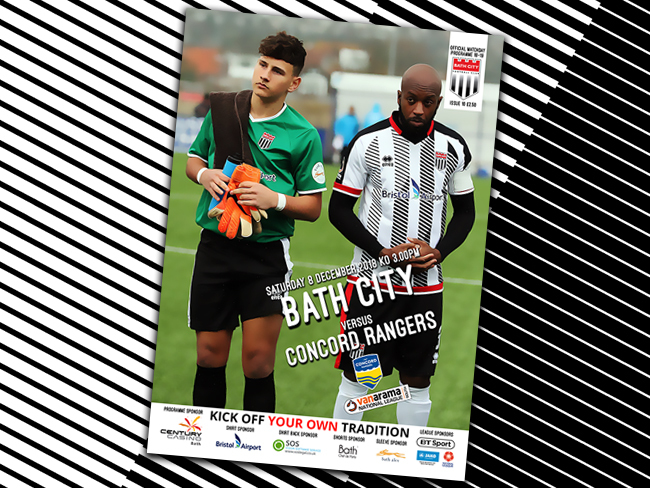 The Romans will be looking to capitalise on their away form though, with Concord picking up just one win in their last seven away fixtures! Christmas Foodbank Collection : Don’t forget to donate to our Foodbank appeal this Saturday! Some things are more important than football. More info in the graphic attached.